“Hey! We are extremely excited to dose you with you our new 3 song EP” say New York’s excellently named Guerilla Toss. “There’s a limited pressing of cassettes (officially out on October 9th) that you can pre-order right now. Digital downloads will be available next Friday, Sept. 25th via the usual fascist download sites.. We are super stoked on this music and the direction that its going in (Kassie is singing, whoaa) and this is just a teaser – our first full length since Gay Disco will be out in the next few months as well. We will be jamming these new songs + some even newer songs + some older favorite bust out style jams over the next few months”, They’ve just announced a whole load of US dates…. 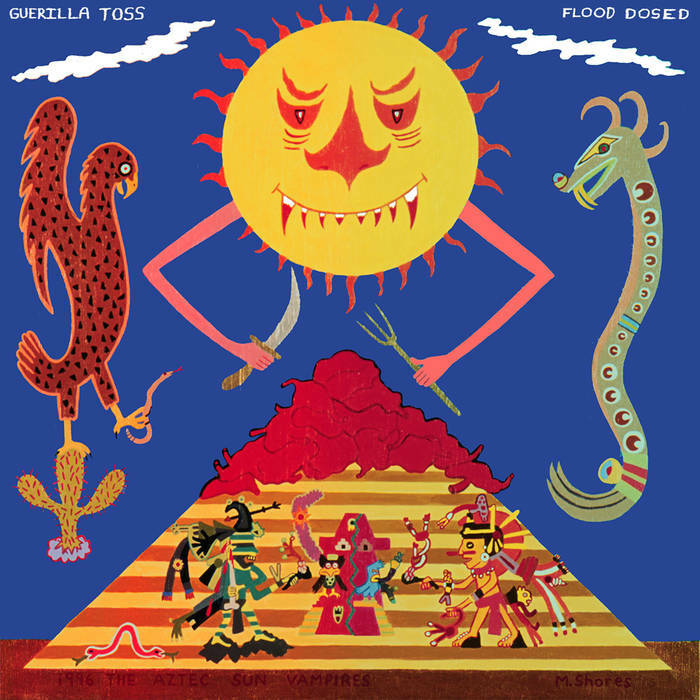 ORGAN THING: New Guerilla Toss because they want you to be happy….